This article is 1983 days old. The creators of the local food and drink guide WindsorEats have added another award to their collection. The Ontario Culinary Tourism Alliance announced the winners for the 2013 Culinary Tourism Leadership Awards at the Ontario Tourism Summit Thursday evening presenting the award to Adriano and Pina Ciotoli for their efforts and commitment to culinary tourism in the province. Over the past few years, WindsorEats’ has been working to develop the culinary tourism industry within Essex County, acting as a driving force in putting the focus on local regional cuisine, restaurants, farms and wineries. They have become known locally and nationally for their innovation and ability to tap into niche markets to create new and exciting products, generating unique culinary experiences throughout Essex County. They are the minds behind such events as Eat Your City Culinary and Winter Bites Culinary Weeks, Drinks of Walkerville Walking tours and the award winning Wine Trail Rides, which created a tourism market where none existed before. In October 2013, WindsorEats hosted the region’s first craft beer festival. With the addition of a new craft brewer and nano brewery to the region, the festival highlighted the growing craft beer movement within the province. 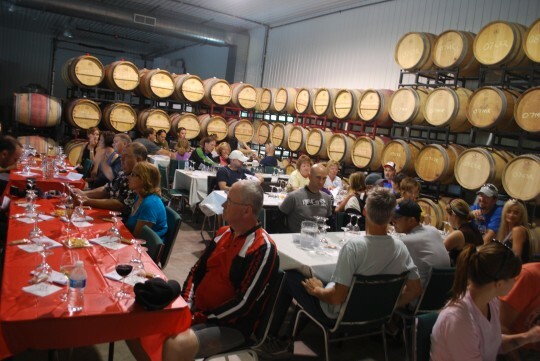 Other recent awards have included the Wine Trail Rides winning the Ontario Culinary Tourism Alliance’s Culinary Tourism Experience Award in 2009. In 2010, WindsorEats was selected as the Innovator of the Year by the Tourism Industry Association of Canada. The award recognizes success, leadership and innovation in Canada’s tourism industry, and to reward those people, places, organizations and events that have gone above and beyond to offer a superior tourism experience to travelers in Canada.